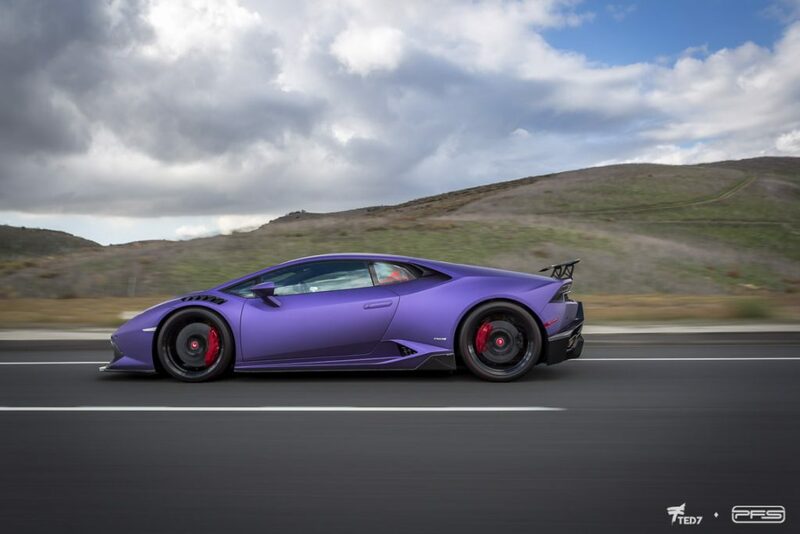 We were just collecting some photos for the Lamborghini Huracan forum Huracan Talk when it dawned on us just how many Lamborghini Huracans we’ve wrapped. In fact, we put together a batch of recent photos that were easy to find. We didn’t even begin digging deep. We decided to create this post to show you some of those amazing Huracans. While we were at it we did notice a number of things. Lamborghinis are pretty outrageous when compared to the more civilized Porsches. Even so, the vast majority of wraps we do for Lamborghini Huracan clients are full body Xpel Paint Protection Film jobs. Don’t be fooled by the gold chrome Lamborghini Aventadors… those cars are generally mostly protected with Xpel. Only part of them really get the outrageous wraps. Xpel Paint Protection Film is a must on a Lambo. The reason is simple. A colorful wrap or livery is optional. However, most Lamborghini owners that drive their cars agree that paint protection film is a must. All cars get only one chance at having perfect factory paint. Once the first chips are in, there is no way of going back. If this is true for a cheap commuter, where it’s hard to justify the expense of a full clear bra, just imagine what it means to a Lambo. The cost of the full body protection is only a tiny fraction of the price. The cost of the full body protection is only a tiny fraction of the price. In fact, a good number of factory options on a Lamborghini are way more expensive than full body paint protection. 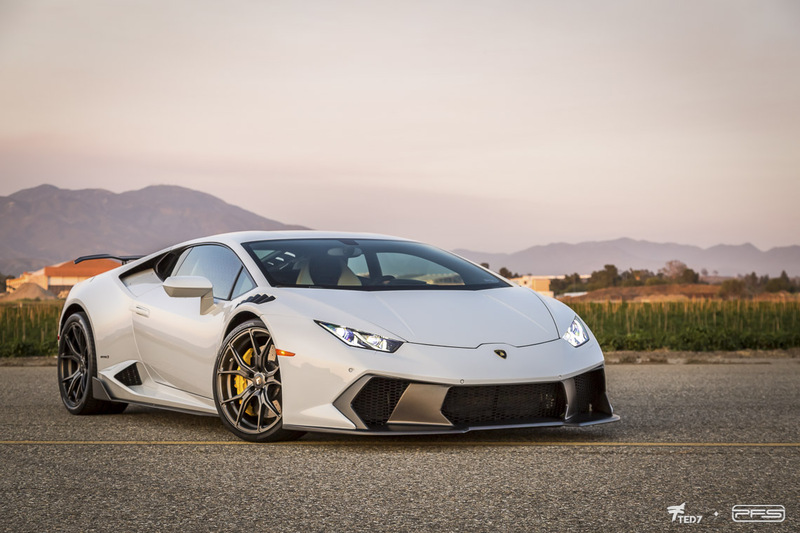 If you are considering a new Lamborghini Huracan… or perhaps are upgrading to a new Aventador SV… factor in the cost of Xpel Paint Protection in your purchase decision… It is a very important part of owning such a car. 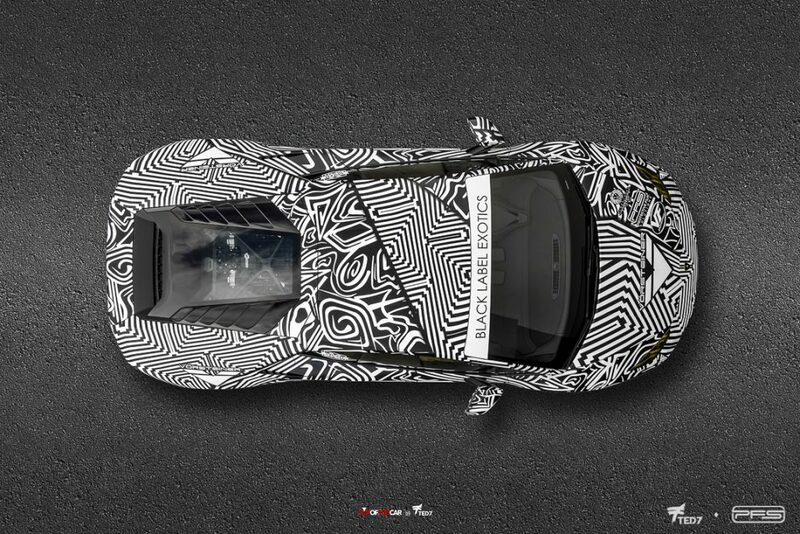 Just recently, Kyle at our San Diego location designed the livery for the Daily Driven Exotics Lamborghini Huracan. This car had a big debut at a recent Speed Society event. Just a few days later it received a set of snow tire chains and went off in a snow expedition! 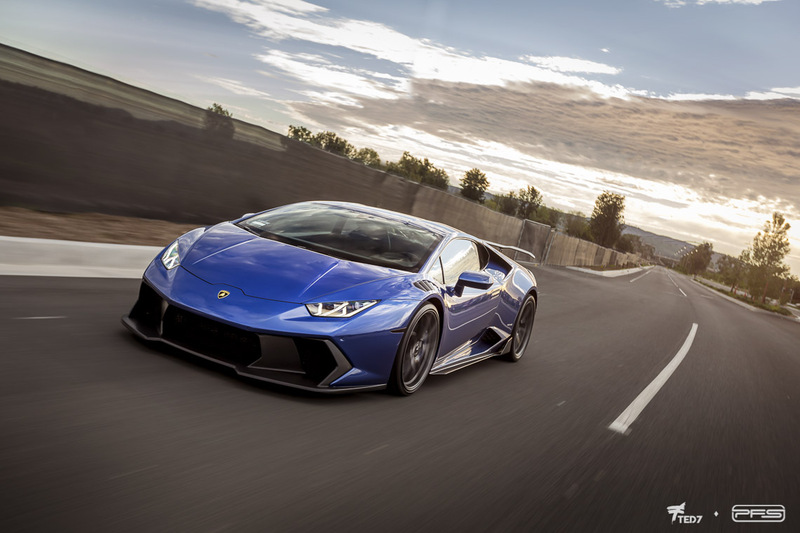 Check out the photo of the Daily Driven Exotics Huracan shot by Top of the Car. As perfectly demonstrated by the DDE Huracan above, some Huracans do get out-of-the-ordinary designs. 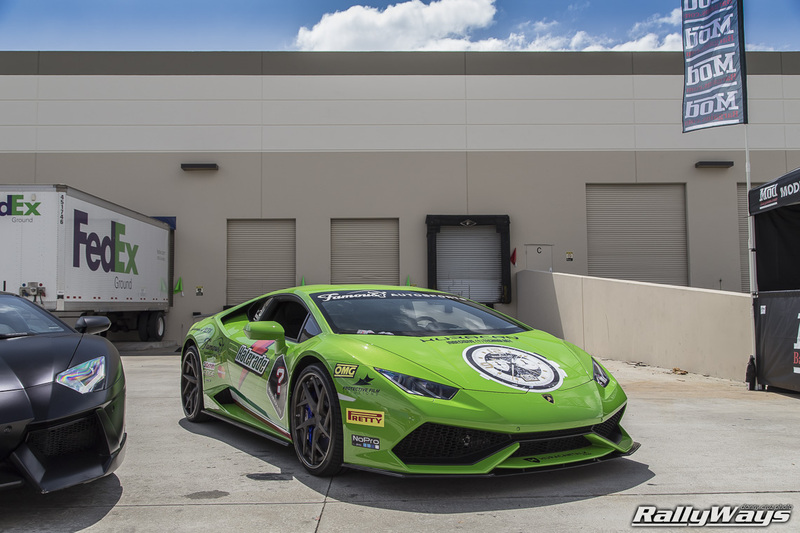 Take a look at the Haterade Verde Mantis Lamborghini Huracan below shot by RallyWays. You can tell the owner has a sense of humor. This car does not fail to attract attention and plenty of photos at every show it goes to. Last but not least, we have the racing pedigree of Lambo… the Super Trofeo. 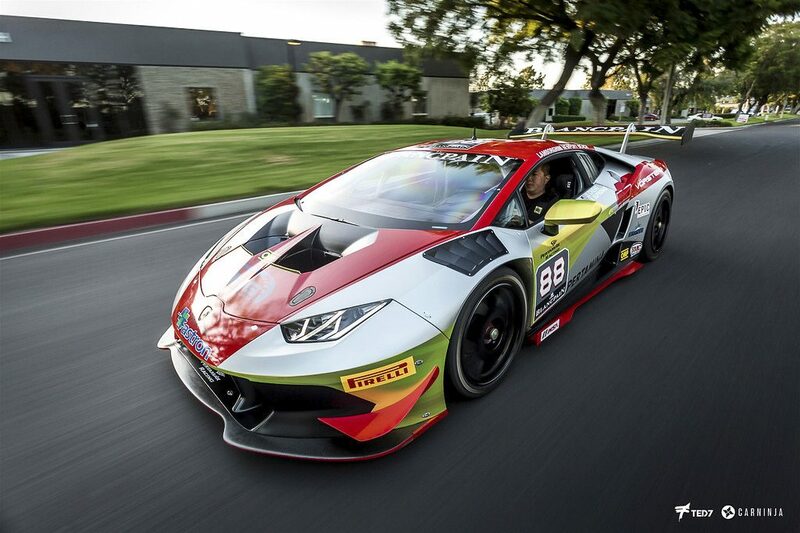 The Lamborghini Gallardo Super Trofeo passed the racing torch to the Huracan Super Trofeo. Here we have one we did for GMG Racing. Like the Lamborghini Huracan? Thinking about making it your next super car? Perhaps your first super car? Don’t skimp on the paint protection. Even if you’re not looking for an eccentric livery wrap, you owe it to yourself to wrap it in Xpel Paint Protection film. Then to keep it clean 100% of the time, we can coat over the clear bra film with Ceramic Pro. Photos are by Ted7 Photography unless mentioned.